Piloting a Heavy Hitter and controlling your combat, repair, and recon support units, play cards and control your GKRs as you tag buildings for corporate sponsorship (or destroy them) or simply out-fight your opponent's Heavy Hitters. Any mech-jockey can shoot, but can you STRAT? Guess we’re gonna find out! 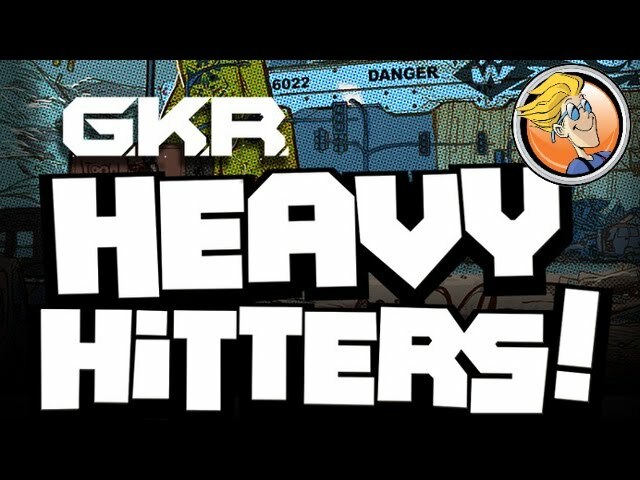 Buy GKR: Heavy Hitters for a gorgeous board game set in the world of Giant Killer Robots with gigantic miniatures produced by Weta Workshop, the special effects team best known for Lord of the Rings, Avatar, and Mad Max: Fury Road.